Canada Day is coming up fast! As you know, July 1st is an important day for Canadian history. In 1867, three provinces – Nova Scotia, New Brunswick and the Province of Canada (the area now known as Quebec and Ontario) – united into one country, the Dominion of Canada. One by one, provinces and territories joined the Dominion, until we became the nation we are today! Because it’s the first week of the summer, there are always lots of outdoor events to celebrate Canada Day, especially in the bigger cities like Toronto, Montreal, Vancouver, Calgary and Halifax. Here are some cross-country and Vancouver-specific ideas for you to try this year. Why not start the day of celebrations by catching a concert – supporting lots of local bands and artists – or joining a parade! As part of Canada Place’s Canada Day events, there will be many concerts held throughout the day on multiple stages around the Convention Centre. Performance times depend on the stages, but they will go from 10am to 5pm. You can see the schedule and get more information about Canada Day at Canada Place here. In addition to the waterfront concerts, parades will be held in some popular locations, like Granville Island, Canada Place, Steveston and on the North Shore. Choose your favourite and join in! In Ottawa, don’t miss the party on Parliament Hill, featuring concerts and a performance by the Snowbirds. There will also be concerts, parades and celebrations throughout Toronto and Montreal. Get patriotic with Canadian food and craft beer! There has also been a resurgence of microbreweries in Canada recently. They brew their own beer, bottle it onsite, and serve it right away at their pub. Each beer has a unique flavour, with different colours and strengths. Drinking local, artisan beer at crowded and bustling places will surely make your Canada Day exciting! And you’ll make lots of new friends, too! As for “typical” Canadian foods, we’re way too multicultural to have national dishes. 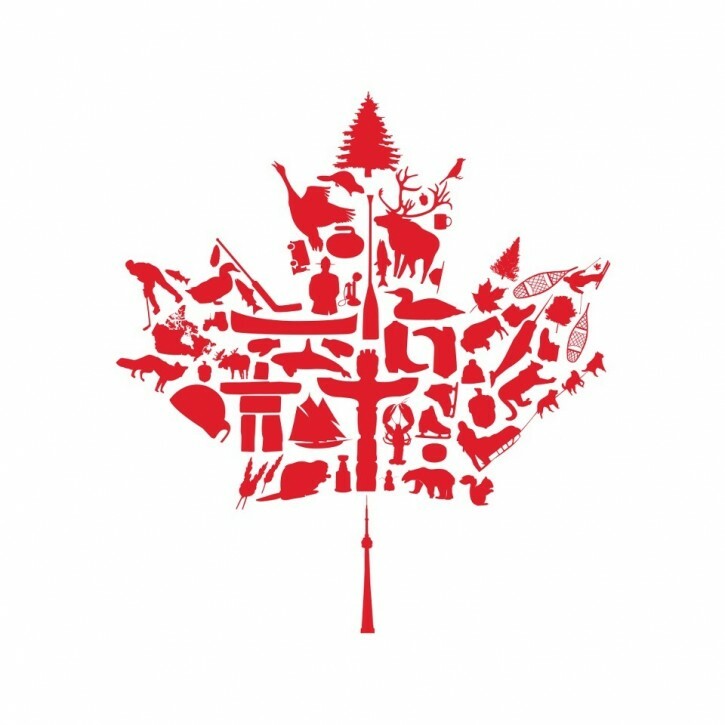 But Canada Day is definitely the right time to indulge in local products, maple syrup, Beaver Tails and poutine (of course!). Though poutine is traditionally made of French fries, cheese curds and gravy, lots of places have started adding extra toppings, like bacon and butter chicken! After the fireworks and the craft breweries, swing by one of these late-night poutineries to finish your Canada Day in style. Do you have exciting plans for Canada Day? Share them with us! Let’s kick back and celebrate the day! **Adapted from this post by our marketing intern, Alice Cho.